I feel like Thanksgiving gets forgotten sometimes. Halloween is over and people and stores go straight to Christmas. 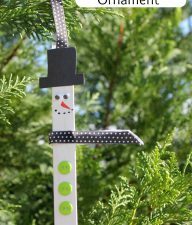 I love Thanksgiving crafts and think they are so fun for kids to do. I thought my girls might be too old this year to make a silly Thanksgiving turkey craft, but they were totally still into it. Yay! 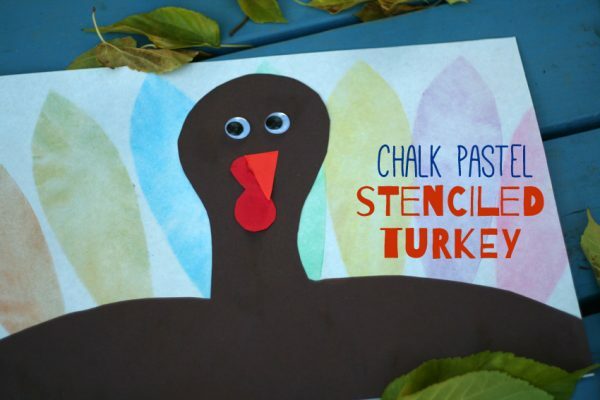 We had great fun breaking out our chalk pastels and stenciling some colorful turkey feathers. These big, bold turkeys look pretty darling staring down at me from the mantel. 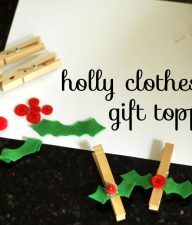 This would be a fun project for the kid’s table on Thanksgiving. 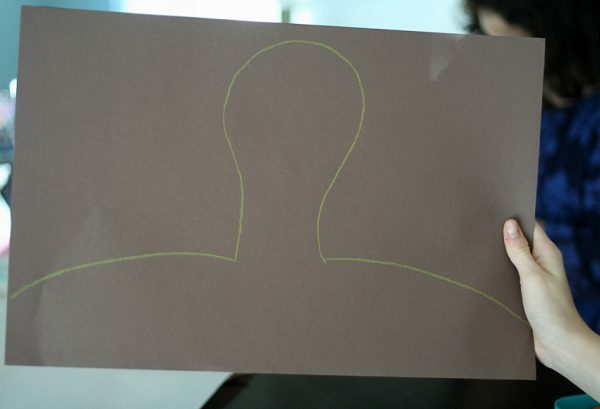 First, draw the turkey’s head and body shape on brown construction paper. We used our fists and wrists as a guide for the head and neck, which worked great! Round off the sides for the turkey’s body, and cut out the shape. On the background paper, lightly mark where the turkey’s body will be. This will help you place your feathers in the right spot. Set aside the turkey head and body for now. Time to cut out a feather stencil. 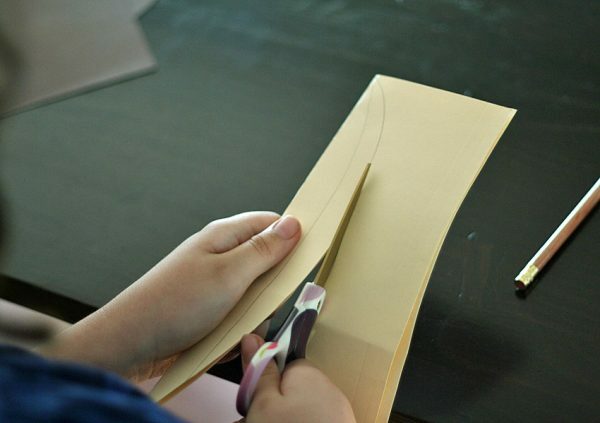 Fold a piece of sturdy paper in half (we recycled a file folder), draw a half feather shape, and cut out. 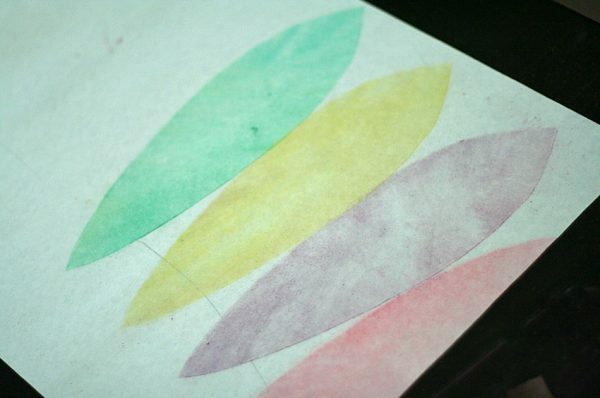 Working on a piece of scratch paper, load the edge of the stencil with a thick layer of chalk pastel. 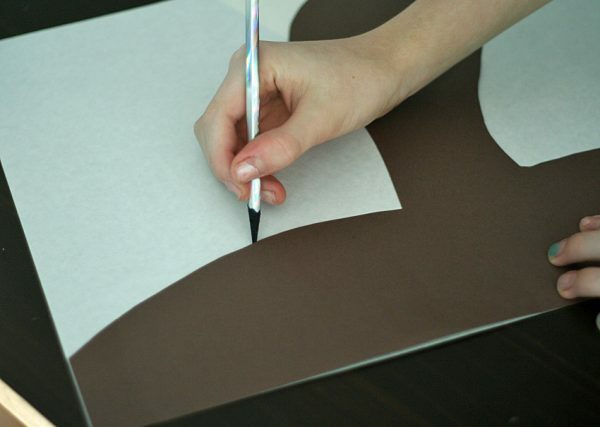 Place the stencil on your background paper, making sure the bottom overlaps the turkey body guide line you drew. 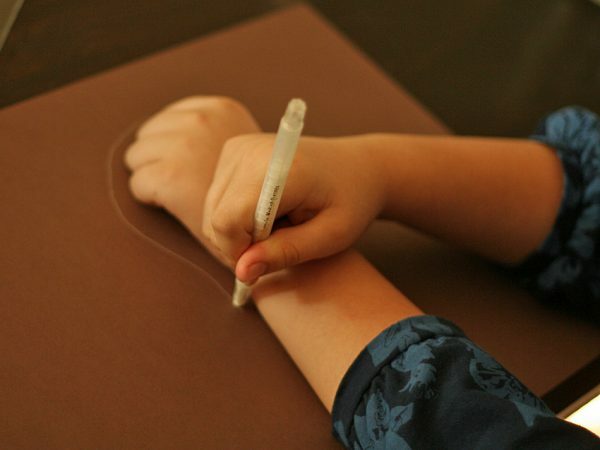 Use a tissue or cotton ball to rub the chalk from the stencil onto the paper. 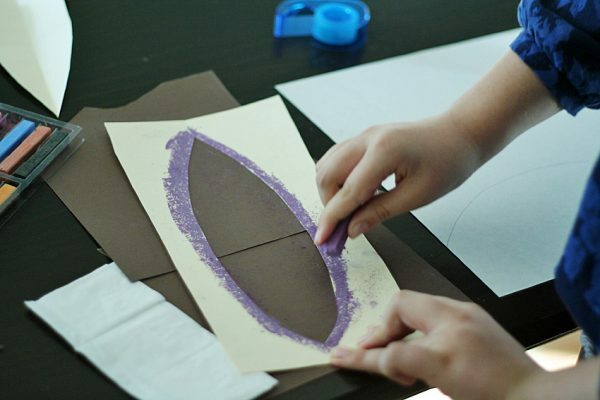 Continue rubbing and brushing the chalk until the whole feather shape is filled with color. Continue adding feathers until your background is filled. Looking good so far! 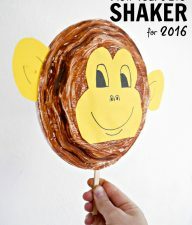 Glue the turkey head and body onto the background paper. 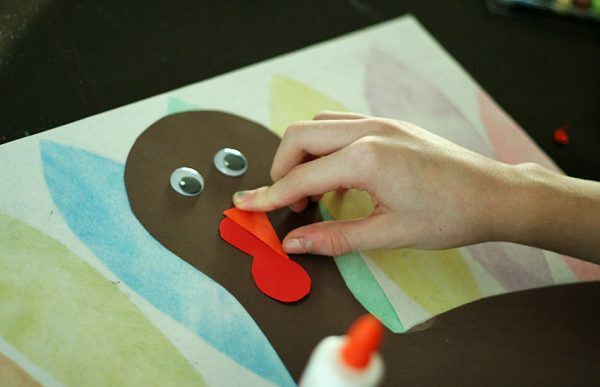 Then, give your turkey a face with some googly eyes and colored paper beak and waddle. 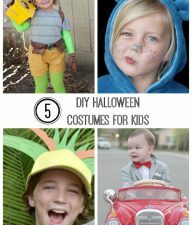 We love the jumbo googly eyes! 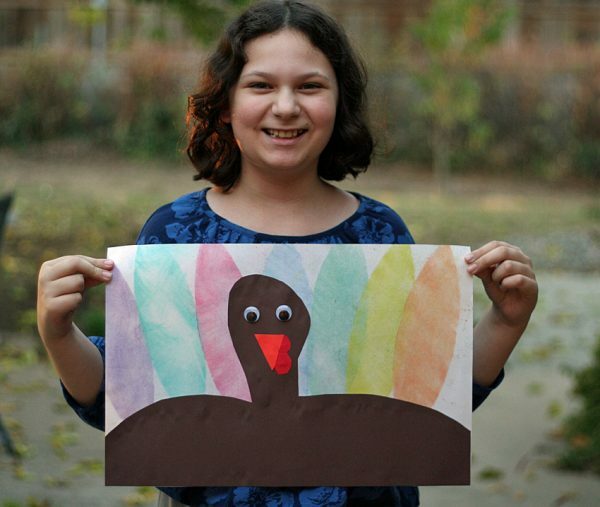 Enjoy displaying your colorful stenciled turkey. Happy Thanksgiving from our family to yours!